These unique walnut-shaped sandwich cookies are just as tasty as they are cute. 1 hrs 5 mins. to 1 hrs 12 mins. Preheat the oven to 375°F. Get out your walnut cookie molds; there's no need to grease them. To make the cookies: Beat the soft butter, brown sugar, salt, and flavorings until fluffy. Stir in the flour, cornstarch, and nuts. Wrap the dough, and refrigerate for 30 minutes. Press 1 teaspoonful of chilled dough into the bottom and up the sides of each mold. Place the molds on a baking sheet. Bake the cookies for 10 to 12 minutes, until they're browned around the edges. Cool for a few minutes, then push on the thick edge of each cookie to pop it out of the mold. To make the filling: Heat the cream and corn syrup until steaming. ; a microwave works well here. Add the chocolate, stirring until it melts. Reheat briefly on low heat if the chocolate doesn't completely melt. Cool until the mixture thickens somewhat, whisking often. Spread a bit of the chocolate on each side of the cookies. Let them sit for a few minutes to partially set up, then sandwich the halves together. These are delicious buttery mouthfuls of heaven! With or without the filling they areso good. I found the mini nut pans on Amazon and they make all the difference for a stellar presentation. I plan to make them again this weekend and want to try different fillings - maybe cinnamon or pumpkin spice - any recipes for that KAF? Just saw some molds on Amazon too. Individual and a giant one w several walnuts on it. I love these as written though sometimes for the filling I make a version of home made Nutella, but with walnuts instead of the hazelnuts, which doesn't require refrigeration and makes these a bit more giftable. For the commentor who lost her lovely molds...I've seen them for sale on Etsy. Hope you can replace yours! I love this recipe, I've been making it for several years now. Sadly, my molds are gone and King Arthur no longer sells them. So know theyre just cookies, not my beloved walnuts. I lent them to my (evil) sister-in-law, and never saw them again. 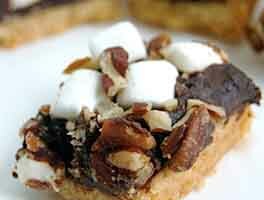 We make these as a new addition to our annual cookie bake. One of the girls is Polish and had been looking for the molds and for a recipe. She remembers having them as a girl. The recipe is great. Be careful to not fill the molds too much. After a couple you should get the hang of it. We didn't use the ganache filling either. I am a chocolatier and had a "walnut paste" on hand and added it to the ganache filling. They were so very worth the effort. And, in Wisconsin where a little beer is included in the cookie baking, we didn't mind. To make your own Walnut Paste, grind equal weights of lightly toasted walnuts and sugar to a food processor and process until it is a paste consistency. 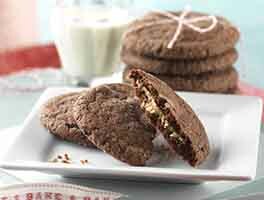 The addition of the toasted walnut paste really accents the walnut flavor of the cookie. ADDICTIVE!!! 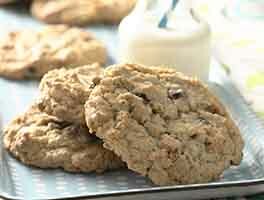 I made these cookies several months ago for a BBQ and they were a big hit. Would love to know if the cookie batter and filling can be frozen and baked/assembled later. I am going out of town and would love to have all mixed and be able to just thaw, bake and assemble there. I made this recipe (actually 3 recipes) to make walnut cookies for my daughter's bridal shower on June 7, 2015, it was a hit with everyone!! We had 72 people attending everybody could not believe they were homemade! I love all of King Arthur's recipes, they never let me down! 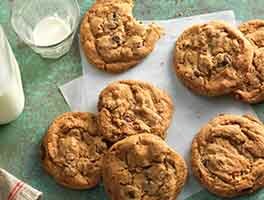 The cookie part of this recipe is great! 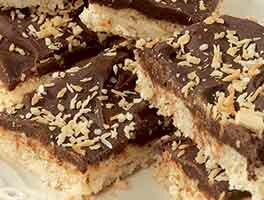 It's easy to make, the molds are great to work with, and they have a nice nutty flavor. I'm glad I finally used the molds I have had for too many years! But the filling is another story. It makes WAY too much! And I know I'll find something to do with the excess, and I should have recognized the quantity would be overboard. The filling also took a long time to set up, much more than a couple of minutes. If you use this same filling, and scale it way back, I would make it while the cookies are cooking so it has a chance to cool and thicken a little before spreading on the cookie halves. I still have the individual walnut molds and the recipe that came with. The #100 teaspoon disher is over a teaspoon. Do you use the disher or teaspoon amount? Also for toasted almond flour do you just toast it in the oven like toasting coconut? Not toasted works but you get a lighter cookie. All variations are still yummy. I'm using the Praline Paste/chocolate filling. 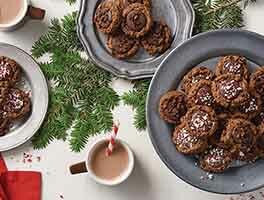 This I'll use this recipe at my cookie exchange this year.